I started a WordPress course today called Writing 101. The prompt today is to write a post using the words…. I write because I want to understand myself and the world around me. Most of the time I feel that despite years and years of meditation and trying to life mindfully, I still react on a very visceral level to life. When I take the time to write about my feelings and the events of my life, the writing helps me to gain perspective and to look at these feelings and events from many different angles. It also usually helps me to develop a humorous outlook toward my human foibles. I also write because I am inquisitive. My writing serves as a jumping off point to delve more deeply into a subject and explain and sometimes be awe struck by the subject and to hopefully share some of my enthusiasm with a kindred spirit. I particularly like to do this in a post because of the give and take that happens in the comments section of a blog. Writing is not always an easy thing to do. Sometimes it hard to steal the time away from my daily responsibilities to put my thoughts down in writing. In that regard writing is a lot like praying – it is hard to be a Mary in a Martha world. But I write because this discipline brings the same rewards to my mind, heart and soul that praying and meditating bring to me. So, I guess for me writing is a form of taking the time to open myself to me and to God. 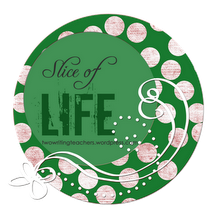 mindfulness, Slice of Lifeblogging, Mary and Martha, Word Press, Writing 101, writing. I agree that writing isn’t easy. You have been very articulate in the way you expressed your reasons for writing. I’m glad this is the first day – I feel my reasons are similar, I just need to express them better! Thanks for taking the time to read my work. Can’t wait to read more of your writing. I was not finished with my commentary. I agree with you by saying that writing is to unterstand yourself and the world around. How important is it to be regressive in the writing process to catch unknown thoughts and unconscious ideas? I’ve made lists like this before. Thinking through WHY we do something is exceptionally helpful, isn’t it? I especially like the comment about discipline. We don’t talk about it in a positive way very often. Writing, for me, is also about praying, meditating, understanding and inquiring. This was beautifully done. I so appreciate your reflections. Taking the time to write is a gift for ourselves and a gift to share. I am grateful that we are traveling this thought filled road together. That makes it doable and worthwhile. Beautiful. Writing is a pathway to your soul, it seems – no wonder it is so meaningful to you. Lovely post. Writing sure isn’t easy I say as I sit here reading posts but have not yet written a post for today. I am seriously thinking of skipping today, but I know I will feel terrible if I do. I just might use one of your “I write because…: ideas today. Thanks for the push. What a lovely post. It’s interesting to ponder the personal whys of writing and you did so beautifully. And isn’t it just perfect that insight about writing comes from writing about it? Love your reasons for why you write. I’d have to say they are ones I share. We write because we must in the end. All the best with your writing!